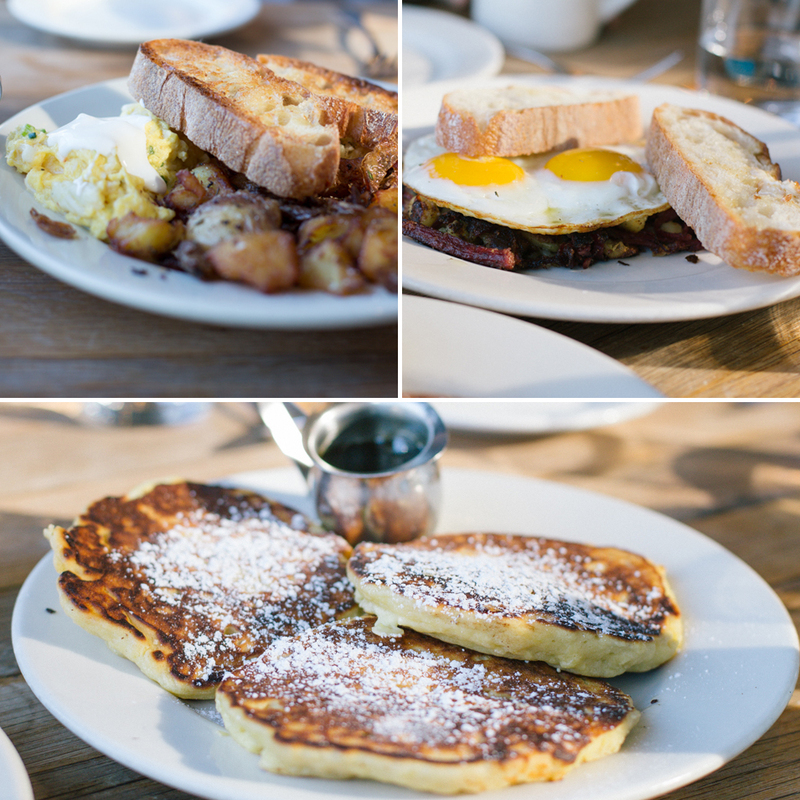 San Francisco is serious about their brunch. Anywhere that’s rated 4 stars or above on yelp will probably have at least an hour wait on the weekends. When I first moved here, I was all about it and would totally wait that long. After trying most of the famed brunch places, I’m not all about standing there for an hour or two for brunch, no matter how delicious it is. However, my foodie cousin came to visit from Hong Kong and really wanted to have a scrumptious San Franciscan brunch. Thus, Plow. It’s probably one of the most popular brunch places in SF, and always has a wait. It is pretty tiny– seating maybe 50 people, which explains the waits. We arrived on Sunday at 1pm, and were seated around 2:30. You can probably guess we had worked up quite an appetite by then. One of their most popular dishes are the lemon ricotta pancakes. I was slightly skeptical as to how amazing these could possibly be, but then I had a bite and I thought, “hmm, not bad.” Then I took another bite, and another bite, and I seriously couldn’t stop. It got more and more addicting as I kept eating it. It was much like a breakfast cake in pancake form, and not overly sweet. The dungeness crab scramble and corn beef hash (left and right respectively) were also very delicious. Omg. Must have more. NOW. When we were looking at the menu, Chris said, “Breakfast sandwich? How fancy could this really be? I could make this myself.” And then he had a bite and then realized the error of his ways. It was really good. Like, really good. Extra crispy bacon, creamy aioli, and fresh greens all made for a delectable breakfast sandwich. Just look at that perfectly cooked egg. My favorite out of everything? Their potatoes. To DIE for. I don’t know what it is– maybe it’s due to the perfect blend of herbs or extra crispy edges, but either way, they are amazing. And addicting. Definitely picked some up to go considering how obsessed I was with them. All in all, I would have to say Plow is worth the wait if you have time and are visiting SF. I myself probably wouldn’t come again within the next few weeks at a peak hour, but if it’s really early in the morning I’d definitely check it out. OMG yes i still want them. everyday. did you also wait over an hour? ?